The Museum is holding its Annual General Meeting on 4 May, 2019 at 6.30pm. The Meeting will be held in the Museum Hangar. Where? 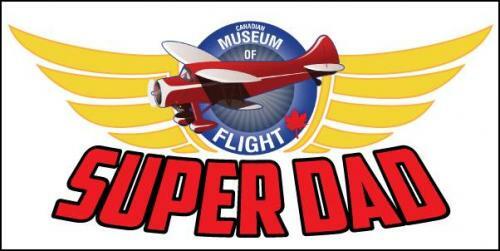 Keep Father's Day, Sunday, June 16th free on your calendar for a special Museum event. Plans are being developed for Pops, Props and Hops on Father's Day. Wouldn't it be a great surprise to bring Dad (and the rest of the family, too) to see some action among the Flying Collection at the Museum. Yes, our Museum actually flies some of their precious collection, unlike a great many other museums. What will we see in the air? 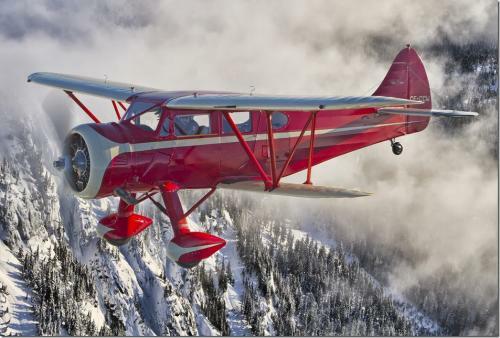 Will it be the 1937 Waco Cabin biplane? 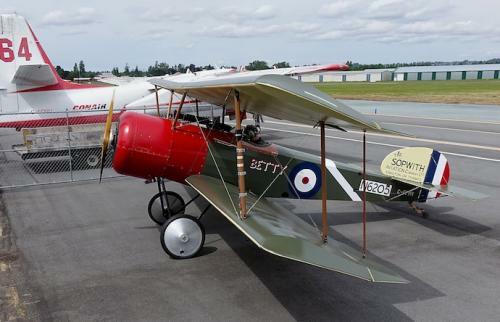 Will it be a 1940 Fleet Finch biplane, or a Sopwith Pup biplane replica? Don't be surprised to see a replica of a WW1 SE5a fighter, or a much more modern Fleet Canuck post-WW2 trainer. Plans are afoot for refreshments and tours of the Museum's collection. - Lots of hot dogs and "Pop"corn....and much more! The Museum's Waco AQC-6 over the Fraser Valley mountains. 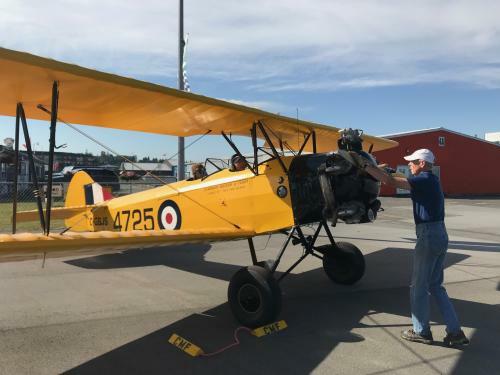 On March 27 the Stearman biplane, donated by the Seller family in 2016, took to the air again. It will be remembered at an upcoming event at Abbotsford for Conair, who are celebrating their 50th anniversary. This company's roots go back to the 1950s at Langley with the Skyway Air Service fleet of aircraft. 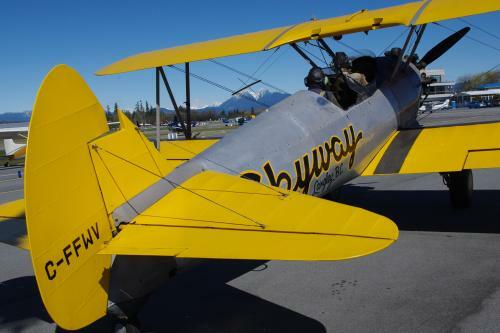 This original Skyway Stearman was imported in 1960 to train pilots for spray operations. This is a quick note to let you know about an accident with our Stearman. As the aircraft was landing at Abbotsford Airport, it suffered a ground loop. A ground loop is described as an uncontrolled horizontal rotation of an aircraft while landing, taking off, or taxiing. Both pilots were unhurt, but the Stearman suffered significant damage. Someone on social media reported that the plane caught fire - this is NOT true. Plans are underway to repair the aircraft. FAMILY DAY on February 18th at the Museum was an outstanding success! In spite of the gloomy weather and chill breeze an amazing 1,200 people crowded the Museum from 10am to 4pm. Staff and volunteers kept everything 'right side up' and fed and watered the crowd (actually it was hot chocolate). Young and old enjoyed seeing the inside of jet planes, a light transport plane and the Sikorsky helicopter. Photographs, coloring and a Jelly Bean Challenge provided fun for the family. The Museum's fully restored Fleet Canuck flew from in front of the Museum and did some passes in front of the crowd to show off what Museum volunteers can accomplish with restoring old aircraft. (A big Thank You to the Langley Air Traffic Controllers who managed to fit in the flypasts amongst their regular traffic). Is it too soon to mark Family Day 2020 on your calendar? The Boeing 747 is 50 years old. Most non-aviation buffs know of two aircraft - the Piper Cub and the Boeing 747. The first flight of the Boeing 747 took place at Everett, WA on 9 February, 1969 - 50 years ago. 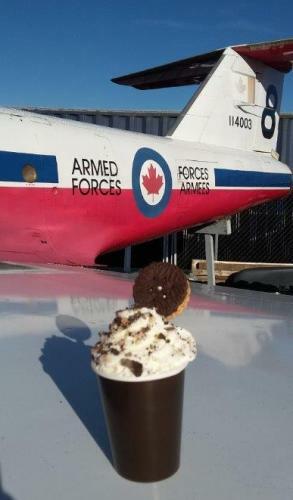 The Museum was active on Remembrance Day. Flyovers of Murrayville, Langley, White Rock and Delta were undertaken with two of the Museum's active fleet. The Fleet Finch biplane and the WWI replica Sopwith Pup, also a biplane, took to the air just before 11 am for this flying event. As well, the Museum's Sopwith Camel was on display at the Murrayville Cemetary commemoration of the ending of WWI. The Fleet Finch, flown by veteran Museum member, Bill Findlay, returns after the flypasts. 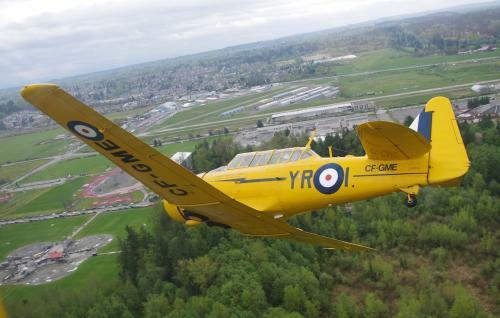 The Museum's Harvard II on approach to the Langley airport. The aircraft we recognize as the Harvard was a development of North American Aviation’s entry into the training aircraft field. There were several iterations that were fixed-gear training aircraft. Some of these were operated by the RCAF under the designation NA-64 Yale. The first flight of what we know today as the Harvard bore the designation NA-49 and first flew on Sept. 28, 1938. That is just over 80 years ago. That it is still flying today in large numbers is remarkable. The designation Harvard by the British was in recognition of the US university. The US armed forces usually gave model numbers, in this case AT-6. Later, the name ‘Texan’ was used in recognition of the location of the factory. The Museum’s Harvard II was built in Montreal by Noorduyn in 1941 and served with the Royal Canadian Air Force and the Royal Canadian Navy. 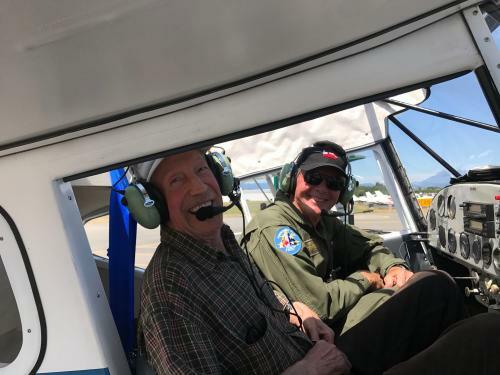 Two of the Museum's aircraft flew to Boundary Bay airport on Sunday, 16 September for flyovers at the annual Air Cadets parade to remember the Battle of Britain. While the Cadets stood on parade the Sopwith Pup and the SE5a did a commemorative flypast. Although the day dawned with heavy clouds and showers, the weather cleared for a few hours with enough time for the two fragile biplanes to make an appearance. They were in good company with a Harvard 4, Sea King helicopter and Aurora patrol aicraft waiting in the holding pattern for their displays. 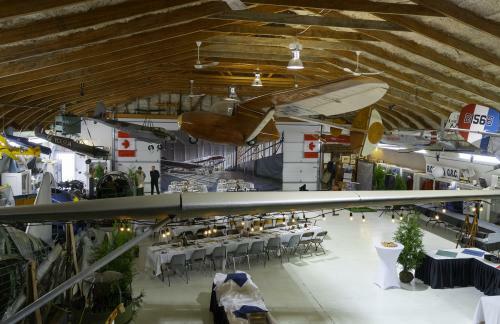 This year's event - styled 'Into the Wild' - a tribute to pioneer bush pilots, was held on 15 September at the Museum's hangar in Langley. The hangar was cleared of our fleet of 'flyers' that were firmly tied down outside. Volunteers transformed the interior into a nostalgic scene from an earlier era with a giant mural of a DC-3 in its hangar. This auction is an important part of the Museum’s annual fund-raising effort. Without such events the Museum would wither and, perhaps, die. We are indebted to all who support our event. Tell your friends and neighbours how important it is for them to come and join us at our events. This year the usually balmy weather in the eastern Fraser Valley was in revolt. After weeks of hot weather, smoky skies and scorching temperatures a weather disturbance caused low clouds, drizzle and cool temperatures. The three aircraft in the Museum's flying display stayed safely in the hangar in Langley. However, the sales team gathered at Chilliwack, erected the sales booth and the Camel display aircraft and put on a brave face in the adverse conditions. Sales were satisfactory, but lower than expectations, of course. Museum members Bill, Jim, Bob, Gordon and Dave prep the aircraft for demonstration flying. 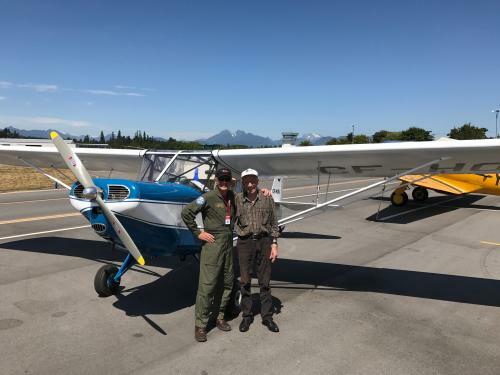 The annual Boundary Bay Airshow 2018 took place on 21 July at Boundary Bay Airport, south of Vancouver, BC. The Museum was represented by its sales booth manned by volunteers as well as three of its flying collection. Why is this Museum volunteer standing dangerously close to the propellor? Did you make it to the Pops and Props event on Father's Day? 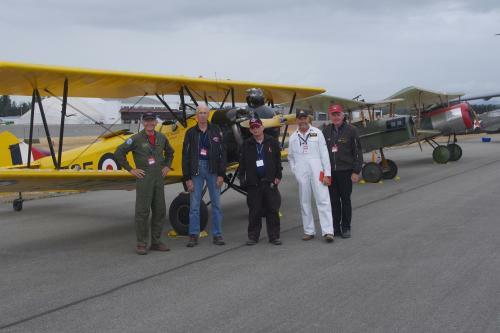 On Saturday, 2 June the Museum participated in the Fly-in at Pitt Meadows airport. Great weather and the spectacular backdrop of the mountains around Pitt Lake combined to give visitors a wonderful family outing. 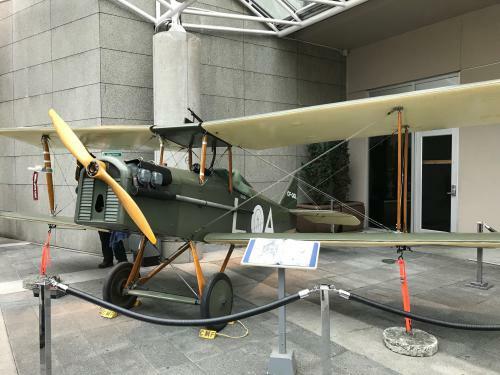 The first event of the year for the Museum sales crew and flying fleet went like clockwork. 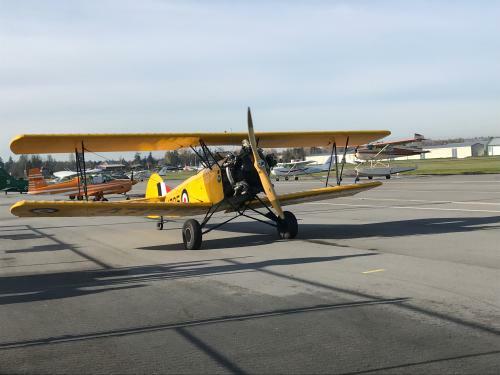 Three of the flying collection were on hand to show off the Museum's unique ability in Western Canada to provide a live, flying glimpse into aviation's past. Why was this cup on the wing of the Snowbird Tutor jet? This week the Canuck was re-united with its donor - Hank Koehler. Hank bought the aircraft in poor condition and donated it to the Museum. It has been a long-time restoration effort by Museum volunteers. As recorded earlier, the Canuck is flying again. Now the donor and aircraft have been re-united. As more flight time is accumulated, Museum members will be able to fly in the Canuck and hopefully Hank will be one of the first. Hank (left) with pilot, Bill Findlay, as they left on a short tour of the airport. Bill and Hank shown with the Canuck. Read more in the Press section. The Museum's overseas contingent is now back at Langley Regional Airport. The Pup taxies up to the Museum at Langley. 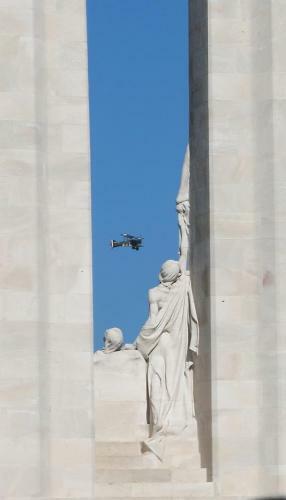 The years of preparation for the commemoration at Vimy have paid off with Museum participation in a flypast to echo the flypast when the Vimy Memorial was unveiled. King Edward VIII unveiled the monument on 26 July 1936 in the presence of French President Albert Lebrun and a crowd of over 50,000 people. The Museum's SE5A flies near the Vimy Memorial. "Victory at Vimy Ridge" by Doby Dobrostanski. 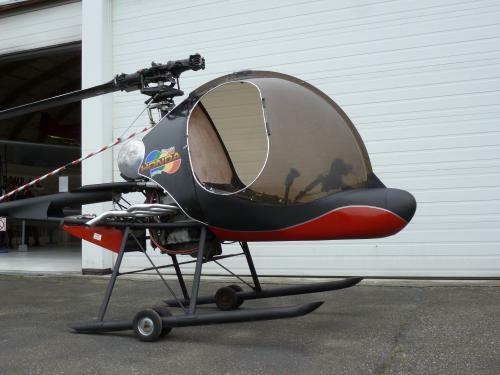 Why is this helicopter smiling? 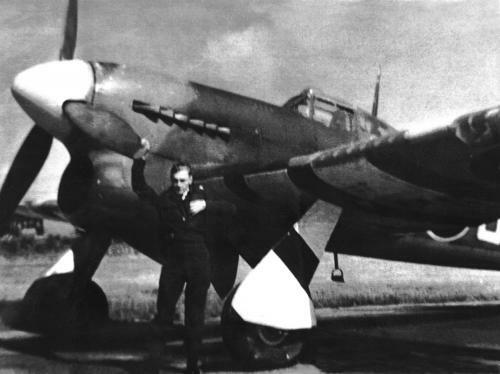 This WW2 photo shows Langley personality, Art Seller, with his Hawker Typhoon. Closed Sunday during the winter. 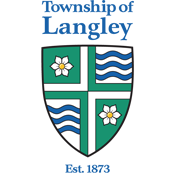 Partial funding of displays at the Museum provided by the Township of Langley through their Community Grants program.